Another glorious Wednesday evening with sun shining and light winds, what more could you want for the final round? 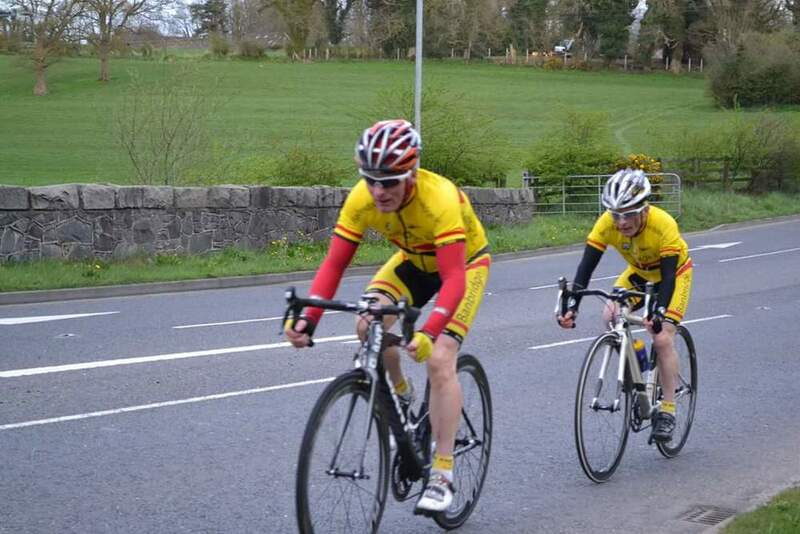 There were 36 Banbridge CC riders and 6 visitors to tackle the tough Banbridge, Gilford, Scarva circuit with the sting in the tail of the infamous Scarva road climb. We signed on in Havelock Park to make it safer for everyone and also started there. Sara and Anne were first off with minute intervals until all 20 pairs got away. I don’t know who was under more pressure the riders or our timekeepers Ivor and Lydia to get round to the Scarva road finish line first! First on the road at the finish were Brian and I, so glad to see the back of the Scarva road. 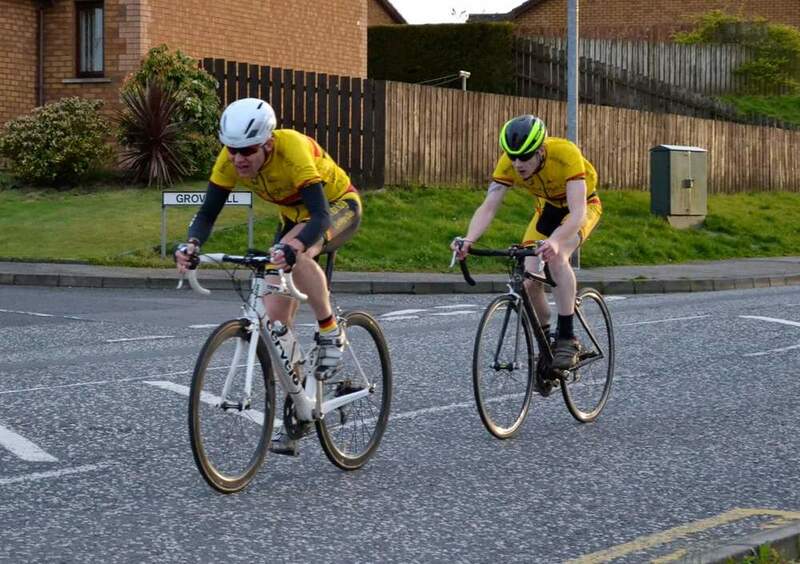 With a time of 28:28 a big improvement for me, not too far behind us was the Banbridge CC young guns Cameron and James with a brilliant 24:45. Cameron and James were in hot competition with Lindsay and Gareth to see who was the quickest on the night. Lindsay and Gareth got 25:02. Cameron and James had just beat them by 17 seconds. Great stuff from the Tour of the North team mates. 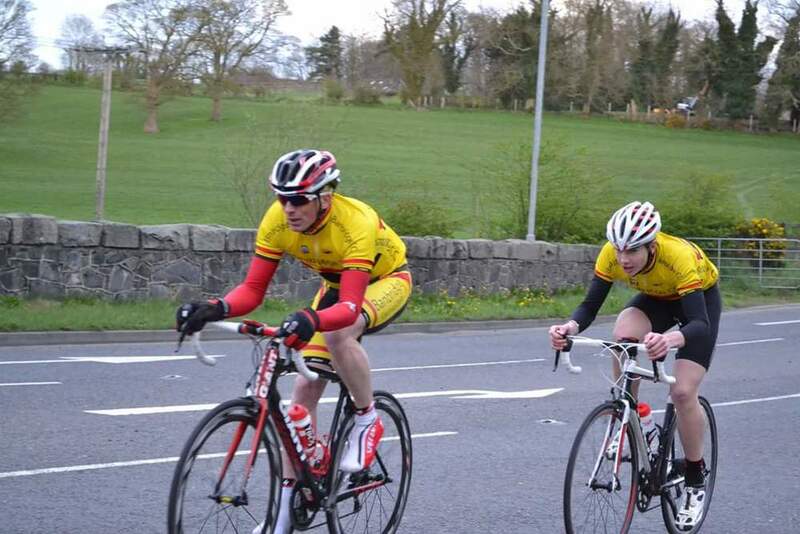 Great times kept rolling in with a strong performance again from Jon and Alan on their first club competition. Sara and Anne putting in another great time for the all lady squad. 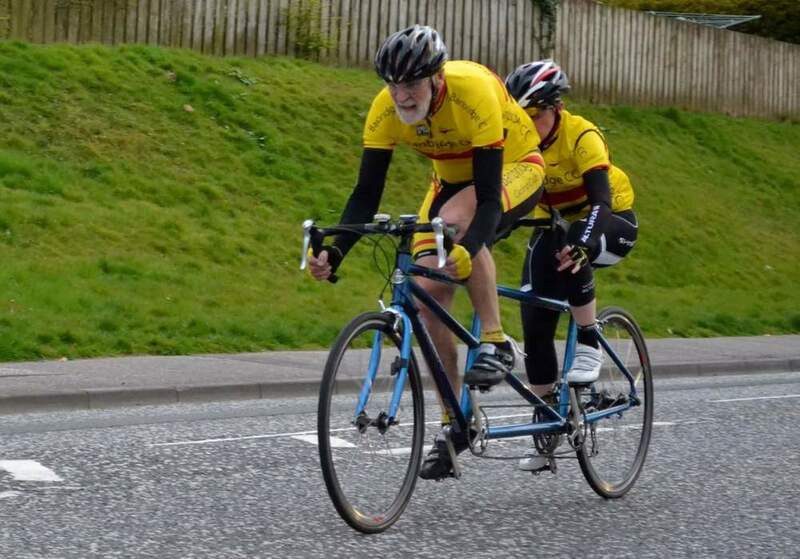 The tandem was also out tonight with Phil and Diane on board with a blistering 30:16. The performance of the night has to be young Charles and Lee Glover. Charles has been putting brilliant effort in considering his young age and is getting quicker every week, posting 30:33 for the final round. Now it’s down to the handicaps to see who won overall. Thanks to Alan and his team for marshaling, without them there would be no events. A special thanks to our youngest marshals Lucy and Matthew were going a great job in Scarva with their Granddad keeping us safe. Not forgetting Ivor and Lydia our great time keepers. Photos of the night by Paul Hannigan, below.